How many times a week do you exfoliate your skin? What do you know about it? Before talking about any other beauty product, I feel the need to talk about this topic. Skin has a natural exfoliating process called keratinization which has a 28 day cycle. During this process the bottom cells of your epidermis work hard to reach the surface of your skin. This occurs naturally without any external help. However, you CAN help this process by gently exfoliating your skin through out the week. Nowadays, we are all about slathering anti aging beauty products on our face, which are probably full of Vitamin A (better known as retinol), vitamin C, and other type of natural exfoliators, which are great to smooth away wrinkles and lines in our face but we do not want to overdo exfoliation in our skin or we will get the opposite results of what we are looking for. Aging will occur. In a nutshell: By exfoliating, you are creating “trauma”, which will make your skin cells, get going, with a repair cell mode that will actually bring out your new and glowing skin. However, if you overdo the “trauma”, by exfoliating too many times a week, then you will give your cells no time for repair, and you will trigger the aging cell mode. You will loose the skins own natural “oily protection” and this can bring up severe dryness to the skin. This is why you will look older. So, what should we do to avoid this to happen? –Clean your skin every day with a cleanser, brush, sponge or cloth. -If you are using the Clarisonic, use it once a day, its more than enough. I found that if I used it in the morning and at nights, it made my skin dry! So, watch out girls. After that, you can apply your anti aging serum, followed by your night moisturizer to seal the benefits of the serum. The Clarisonic will help remove dead cells daily and will enable your following skin treatments to penetrate better. Note: You do not want to do more exfoliation than this to your skin on a daily basis especially if your serum has retinol or other vitamins that produce exfoliation overnight. -If you are not using a Clarisonic or any similar brush (which is totally alright) and you are more into a sponge or cloth, which are gentler to your skin, you should use a gentle daily exfoliator to help remove your dead cells. 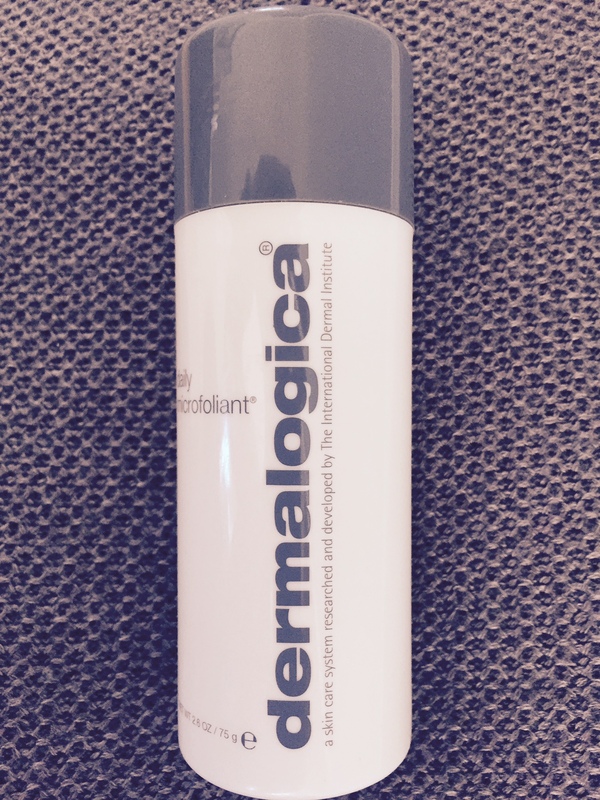 I love this Dermalogica’s microfiliant exfoliator. Its a rice based formula that gets activated with water and micro exfoliates your outer dermis leaving your skin smoother and feeling like silk. It is gentle enough to use it every day. Adequate for all skin types. Its nice to have it at home even if you want to alternate it with your Clarisonic. Note that when I use Dermalogica exfoliator, I do not use my Clarisonic, but instead I clean my skin with the Konjac Sponge which I find gentler. (Dermalogica exfoliator: $44.02 in amazon). For my spanish followers you may order this product here. – There are other types of scrubs, like this one of Juvena, which I have used in the past. Made with exfoliating beads. Works just fine using it once or twice a week. Adequate for all skin types, even if you have sensible skin. Honestly, I prefer the Dermalogica exfoliator, as it’s gentler to my skin and I can use it every day. This is just a personal choice. If you are less constant with your skin cleaning habits, then you might be better off going with this Juvena facial peeling once or twice weekly. 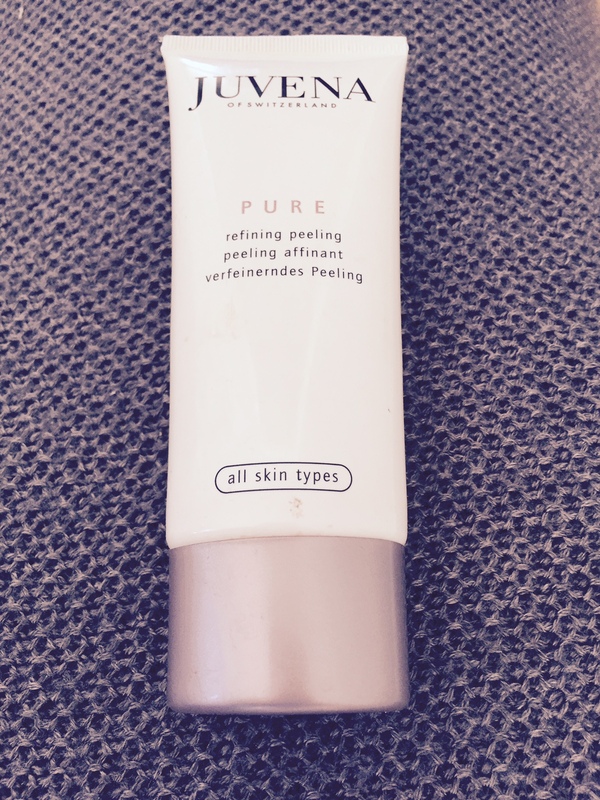 (Juvena Refining Peeling: $37.96 in amazon). For my spanish followers, you can find this product at El Corte Ingles. -If you cleanse your whole face skin with some make up remover lotion and some cotton, it is better than nothing, but you definitely want to rethink your cleaning habits!!! I mean, come on!! Give your pores a break and let them breath. Your skin will always repair at night, which it won’t be able to do so with all those clogged pores. Plus, your skin treatments will not penetrate your skin at all. Start tonight and clean your skin properly! You’ll be grateful in a couple of weeks. But, remember girls, come morning, and you should apply a heavy coating of SPF, as all these exfoliations we do at night, leave your skin more vulnerable for sun damage and hiperpigmentation. You are totally safe if you always wear with you an SPF. Keep in mind, upping your SPF to 45 will help safeguard your skin more. As I told you in a past post, I use Josie Maran, which is my favorite cream. What scrubs and exfoliating methods do you use? Share your comments and feel free to ask any questions. Thanks for following. Tags: amazon, Anti Aging, Beauty, clarisonic, Cleaning, Dermalogica, Exfoliator, Glow, Josie Maran, Juvena, Peeling, SPF. Bookmark the permalink. Previous post ← No fancy product, Virgin Organic Coconut Oil, for a Skin GLOW! Really?